Nigeria is blessed when it comes to agriculture and that is one reason why agribusiness is one of the most profitable business in the country. Plantain farming can turn you into a millionaire but all you need is knowledge and the skill to do this business. Before you venture into this business its very important that you get the Plantain farming feasibility study business plan to equip you with the knowledge and skill to run this business. 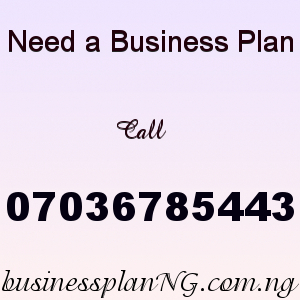 In this business plan you will be able to see get your marketing strategies, financial projections, market analysis etc. Plantain is one of the most common food in Nigeria and its always available because of the some smart business men who has gone into this line of business and have been making fortune ever since. Plantain is a sort after food in Nigeria prepared in different ways, it can be boiled, the ripe one can be fried and prepared as a side dish popularly known as dodo, both ripe and unripe can be roasted, plantain can also be processed into flour. Its an important food stable and a raw material for many product. Africa produces over 50 per cent of the worlds plantain production. About 70 million people in West and Central Africa get more than 25 per cent of their carbohydrate from plantain and Nigeria is one of the largest plantain producing countries in the world. Plantain consumption in Nigeria has increase over the years due to high demand for convenient and fast food. Plantain plantation needs a good climatic condition to thrive, it can not do so well in an environment that is too hot or cold, they are grown from suckers. The very first thing to do is to get a farmland, its very important that you acquire a land with the right type of soil, like a loamy soil containing good organic matter. You can improve the soil content if its not rich enough by applying organic manure like cow,chicken dung etc. Lands with thick vegetation is best for plantain farming because thick vegetation indicates that the land contains the right soil for good produce. Plantain unlike most plants can not be propagated from seeds, they are propagated from suckers. There are three types of plantain suckers, they are, sword suckers, water suckers and maidenhead suckers. Getting healthy suckers is key for getting a rapid and tremendous yield, the farm can be sustained for years without any need to get new suckers. For the plantain farm to flourish and do well, utmost care must be given to it, the plantain should be watered, protected from strong winds. Within 8-10 months, your plantain should be ready for harvest, as soon as it gets to to this time more fruits will be produce. Our sample Plantain Farming Business Plan in Nigeria can be used to access bank loans, proposal writing and grant applications. The business plan was complied after a thorough feasibility study on Plantain Farming Business in Nigeria was done. After you have made payment for your Plantain Farming Business Plan In Nigeria & Feasibility Study, send a text of your email and payment details to 07036785443.